It's kind of funny that you bring this up today b/c over the past week I've been thinking about this a lot. So I've decided that I will read all the Printz Award and Honor books. It's my challenge to myself each year. Like you, I'm also a librarian and totally geek out when it comes to awards. I think it's exciting to have Mock trials for the awards and then see the final list. Most of the time the books awarded are those that I never heard before! I try to order the Winners and nominees, but sometimes they just sit on the shelves. Then I have to think of a new way to book talk them, but yeah it's a bit frustrating. We have a two very popular in-house trainings in our system-- one is Children's Notables and one is Teen Notable's. Participants are required to read a certain number of books off a list that includes winners and honors and other noteworthy books of the year and then we all meet to discuss them. It's a great way for staff to read the winners (or at least learn about them) and a fun way to earn some CEUs. Rosalia-I make that goal every year too! I also have the long goal to read every winning title. Rummanah-I'm working on getting a Mock Trial at my library-we're going to try it next year. And I try to booktalk them too and sometimes it doesn't work-I think the teens view it as "required reading" It can be frustrating, but I try. And I'm so glad you geek out too! Jennie-We're hosting a reading challenge at my library next year and one of the goals is to read award books (they'll get extra points) We have a children's lit training, but it's mostly children's staff that take it. I have a love/hate relationship with the awards books. I include them in my collection, but sometimes I honestly can't stand them, and I don't see how they won. I do encourage teens to read them by offering them as bonus books during the summer reading program, and right now I have a display up of the "best of the decade" which does include some award books. I served on a state award committee a few years ago, and one factor we had for determining the winner was teen appeal. I liked that idea, because it seemed a lot less like librarians picking what was "good for the kids" but more what was both awesome and quality. Sort of like picking Veronica Mars or Buffy over Gossip Girl or Jersey Shore. Kat-We have the same teen appeal criteria for our state book award too, although I don't know if it always works that way. The teens get to pick the final winner, but some years the books are depressing and the teens hate them. I try to display the award books too-sometimes they check out and sometimes not but I like at least bringing them in focus once in awhile. I'm always curious to read the award books but I discover that often times I don't like them (for some reason this is especially true with the Printz books--a lot of them just don't resonate with me). Many of the recent Newberys have left me cold as well. 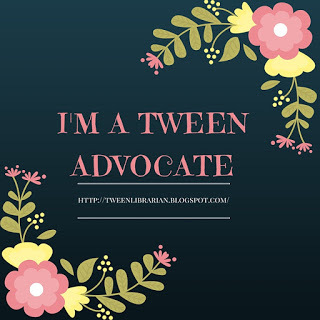 I wish that kids/teens could be on those committees to put in their 2 cents worth! One award I like to follow that's not as well known is the E. B. White Read-Aloud award, selected by independent booksellers. The book awards are a bit let down sometimes. You get all hyped up and then they are reviled and you are like "oh" that was anticlimactic. I buy some of the books that I think my students may like, if I dont have them, but I don't go out of my way to do so. I've found that, like others have said, they sit there gathering dust. My students would rather read about Sarah's first time or so and so cutting themselves. My mother's library does the mock-printz awards. I'll have to see if that gets it more attention or not. I'm wondering if the huge boom in YA readership the past couple of years will help boost knowledge about the awards. YA seems SO much more popular now than even 5 years ago. It was great to learn about these awards and short lists from you! Thanks so much for your post! ps I will post on these short lists as well to try to get the word out to the moms! Are there any book awards that lend themselves more to the "popular" teen titles as opposed to those that might appear more adult oriented? YES! I lovey-love Printz award winners (99% of the time) and I'm always on the lookout for new award books. I think it's a librarian's professional responsibility to, at the very least, be AWARE of award winners, and hopefully have read them as well. I feel a little like you...I want to say "come on people find out about all the ALA awards not just the Newbery or Caldecott". Even if you aren't always a big fan of the final choices, the awards committees did a lot of reading and had many discussions and a reason why they chose what they did.